Freedom! ... I mean WATER! If you want to see history white(man)washed and scrubbed clean of any scandal, The Water Diviner is the film for you. 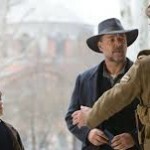 It offers Russell Crowe (in his directorial debut) using Gallipoli as a backdrop for one Australian’s attempt at grief. It also avoids any of the crimes done by any of the armies involved in that early 20th century skirmish. Even when it involves the Turks in Crowe’s attempted family reunion, they come across as shady. The Greeks are even worse, barely coherent black hats who grin manically as they slaughter everything in their sight. This is truth as told by revision, feel good framed by death and problematic political pandering. The story centers on the title character, a famer named Joshua Connor (Crowe) who lives in the middle of the outback with his wife and three boys. When they go off to war, he makes them promise to protect each other. They don’t come back. The loss sends Mrs. Connor into a suicidal spin, ending with her death. Determined to retrieve the bodies of his sons, Joshua head to Turkey, where he is told no one is allowed near Gallipoli. While staying at the inn of a widow named Ayshe (Olga Kurylenko), he learns of a way to sneak in. In the meantime, the former war zone is now part of a British/Australian contingent hoping to catalog all Western deaths. 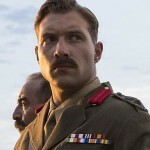 Under the command of Lt. Col. Cyril Hughes (Jai Courtney), Joshua joins up with the detail and meets Major Hasan (Yılmaz Erdoğan) and his underling, Sgt. Jemel (Cem Yılmaz). They were part of the Turkish Army that doomed his children. Eventually, Joshua learns that one of his boys might have survived. To get to the former prison camp, however, he needs the help of Hasan and Jemel. They agree, only to discover that the territory is now overrun with invading Greeks. What is it with actors turned directors and their epics? Mel Gibson gave us Braveheart. Kevin Costner offered up Dances with Wolves. Seems like every time a star wants to sit behind the lens, they look to the past, not the present (or future) for inspiration. Unlike the other two films mentioned, there’s no threat of The Water Diviner winning any Academy Awards. It’s too bland, too generic. Crowe does nothing to differentiate this post-/anti-war movie from any other post-/anti-war movie made. Gallipoli could be any no man’s land, the soldiers a selection of Central Casting cliches. We learn nothing of the reasons behind the skirmish and many aspects of the conflict are left on the cutting room floor. Instead, we get sun-dappled days at Ayshe’s non-marigold exotic hotel, Crowe and Kurylenko attempting to generate some manner of carnal chemistry but it never arrives. Neither does a reason to care about his quest. While the stiff upper lipped Brits who constantly countermand his efforts are borderline caricatures, they have a point: one man just can’t show up and demand to be taken to where his boys were killed. That’s unreasonable. The movie’s excuse for why they eventually do it? As Hasan says, he’s the only father who came asking. Yeesh. 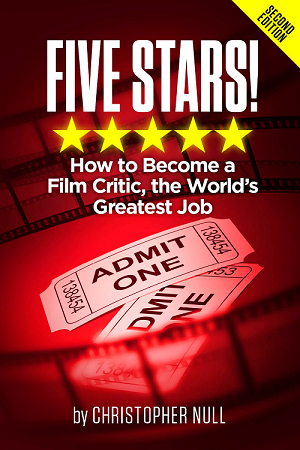 Crowe also fails as a filmmaker, technically. There are scenes that don’t gel, moments of missing continuity (one minute Jai Courtney is looking directly at his co-star as he talks to him, the next his head is bowed), and a jarring lack of narrative cohesion. The various elements don’t flow. Instead, we get entire acts filled with nothing but abortive romance stuck right beside a deadly train massacre. Maybe this was part of the actor’s design. Maybe his “director’s cut” smoothes out these obvious wrinkles. Whatever the case, it makes The Water Diviner feel episodic, not quite the right tone for a bit of everyman heroism. Oddly enough, one of Mel Gibson’s first films was a Peter Weir effort from 1981 which used Gallipoli for its proper historic purpose. Without that movie’s realism, The Water Diviner feels like an affront — and a waste of time.